"Every organization shall be governed by a responsible board of not less than five individuals, a majority of whom shall be independent, who shall meet at least semiannually to establish policy and review its accomplishments." When a ministry encounters failure—or even worse, scandal—its difficulties can almost always be traced to a breakdown in governance. For this reason, ECFA places much emphasis on strong, effective governance. 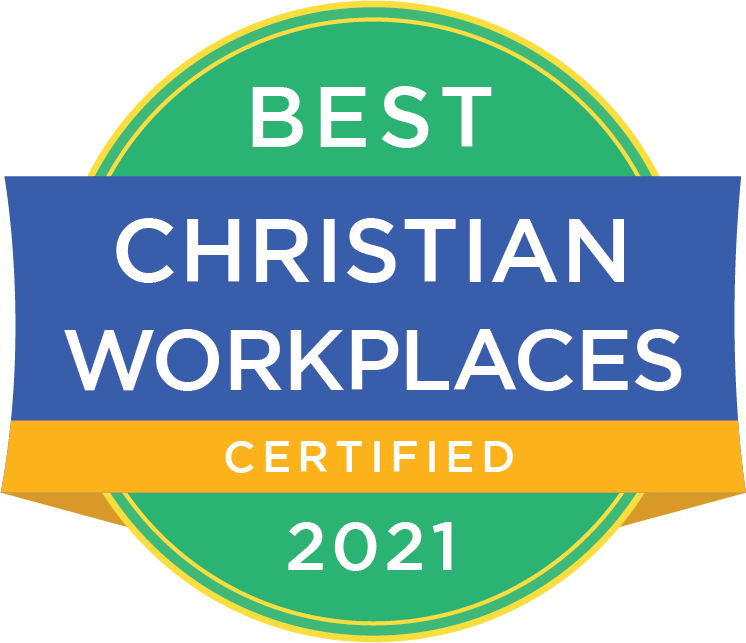 This standard is designed to help organizations obtain and maintain a governing body that enhances an environment of accountability, maximizing excellence in carrying out the Lord’s work and minimizing susceptibility to structural breakdown. Responsible Governance. The importance of an active, informed governing body cannot be overemphasized. Left unchecked, even minor board neglect can eventually intrude upon the accountability and effectiveness of the ministry. In contrast, the active, informed board will hold to the mission, protect the integrity of ministry objectives, and ensure consistent adherence to board policies. A competent leader should be selected to carry out the ministry’s mission under the direction of the board. The board should be diligent in maintaining a strong relationship with that leader. This relationship is pivotal. The board that is accountable in its relationship with the organization’s top leader will operate with greater confidence and trust, will ensure compliance with performance criteria, and will avoid detailed involvement in the organization’s day-to-day operations. Commit to prayer, corporately and individually. Identify and monitor the organization’s mission and purpose. Approve the organization’s top leader’s compensation (in advance). Comply with all legal requirements placed upon the organization and approve all legally binding resolutions. With the organization’s top leader, chart the long-range strategy of the organization. Monitor the organization’s financial status and approve the annual budget in advance and maintain oversight of its implementation, or establish policies that enumerate the applicable budgetary constraints. Approve the engagement of the organization’s independent certified public accountant to perform the annual audit, review, or compilation. Assure the organization’s financial vibrancy. Assure full disclosure of all potential conflicts of interest within the organization and the board. Serve as ambassadors for the organization—interpreting its mission to constituencies and enhancing its public image. Board Records. Proper attention to written records is extremely important. Of particular concern are mission statement and bylaws, policy statements, and minutes. Mission statement and bylaws. The mission statement should define the organization’s reason for existence. The bylaws are the established rules to guide board procedure. Policy statements. Many boards find it helpful to develop a set of written board policies to guide the board’s actions. Minutes. Minutes provide an indispensable record of the board’s deliberations. Minutes can also protect the board from litigation or other administrative proceedings. The minutes should list board members present as well as those absent. The meeting’s location, start time, and ending time are also essential elements of the minutes. The minutes should record actions taken by the board, contain enough discussion to substantiate the actions taken, and reflect the abstention of interested parties when addressing related-party transactions. Approved by the board chairman and signed by the board secretary after adoption by the board, the minutes should be filed and stored together for ready access. If an executive committee of the board convenes between board meetings, minutes of executive committee meetings should also be maintained and presented to the full board at its next regularly scheduled meeting. If the organization utilizes an audit committee (or another committee which encompasses responsibilities often assigned to an audit committee), the minutes of that committee’s meetings should be recorded as well. Minutes of audit committee meetings should be presented to the board, which should act on any recommendations made by the audit committee. This will inform and assure the board that audit review responsibilities are being met. Board selection, tenure, and training. Recruiting competent board members with varying and appropriate areas of expertise will enhance the responsible governance of the organization. The board’s first responsibility is to recruit members who are spiritually mature and able to make wise decisions as led through prayer by the Holy Spirit. Paul’s instructions to Timothy can serve as a helpful guide for the selection of new board members (1 Timothy 3:1–10). In addition to this overarching requirement, the board may also seek individuals whose gifts and abilities will benefit the organization and who will provide dynamic interaction at board meetings. The ministry’s mission and purpose as well as size and complexity may be considered when selecting board members. Every organization’s board should include individuals with experience in the organization’s particular ministry objective. Continuity is also an important issue. The needs for stability and for long-range perspective are often cited as reasons for the long tenure of board members. However, lengthy tenure can narrow the breadth of representation on the board. Other potential challenges associated with long tenure are stagnation, partiality, and burnout. Terms of service for board members may be long enough to provide continuity of policy, but short enough to ensure a fresh viewpoint. Determining the length of service may also relate to maintaining accountability between the organization’s board and the organization's top leader. After candidates are approved for board service, the organization should provide orientation and training. Training may include a background or history of the organization, as well as an understanding of the organization’s mission. Any long-range or strategic plans should also be shared. Board members should receive the organization’s essential corporate documents: the articles of incorporation, bylaws, corporate policies, financial statements, and management reports. To ensure a clear understanding of responsibilities and accountability, position descriptions may be estab­lished for officers and charters established for committees and task forces. Since the individual duties of all board members differ in some respects, the organization may provide specific training to individual board members, based on the expectations of each position. Board size. 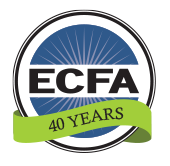 ECFA has established a minimum board size of five individuals in order to avoid a very small group from controlling the organization. This size also allows the board to reflect certain diversity of experience. If a board is too small, it cannot provide adequate policy guidance or assistance to the organization. Increasing the number of members may provide a greater level of independence. On the other hand, a board should be small enough to act as a deliberative body. If the board grows too large to meet as a collective entity, then it loses its ability to effectively discuss issues and make effective decisions. Board independence. The organization should take care to maintain the reality, not just the appearance of independent board governance. Requiring the predominance of independent board members helps ensure the board will take official action without partiality, undue influence, or conflict of interest. To assess the reality of board independence, ECFA looks beyond the majority of independent board members on the board roster. ECFA is just as concerned about the reality of board independence as with the mathematical determination of a majority of independent board members. Persons who are not employees or staff members of the organization. Persons who may not individually dictate the operations of the organization similar to an employee or staff member. A person who is an uncompensated CEO, for instance, is not independent. Persons who are not related by blood or marriage to staff members or other board members. Blood or marriage relationships are defined for the purposes of the standard as being his or her spouse, ancestors, brothers and sisters (whether whole- or half-blood), children (whether natural or adopted), grandchildren, great-grandchildren, and spouses of brothers, sisters, children, grandchildren, and great-grandchildren. Persons who do not report to, or are not subordinate to, employees or staff members of the organization. Persons who do not report to, or are not subordinate to, other board members. Persons who do not receive a significant amount for consulting or speaking, or any other remuneration from the organization. Persons who do not have relationships with firms that have significant financial dealings with the organization, officers, directors or key employees. Persons who are not the paid legal counsel, related by blood or marriage to the paid legal counsel (see definition of blood or marriage in #3 above), or are employed by the firm that is the paid legal counsel of the organization. Persons who are not the auditors, related by blood or marriage to the auditors (see definition of blood or marriage in #3 above), or are employed by the auditing firm of the organization. Meetings of the board. A quorum must always be present for the transaction of business. The quorum should be defined by the organization’s bylaws and should require the presence of 51 percent or more of the voting members. In addition, that quorum must reflect a majority of independent board members in order to maintain the intent of Standard 2. Two board meetings per year at reasonably spaced intervals are the absolute minimum requirement for ECFA accreditation. This minimum requirement is intended to underscore the importance of board involvement and to prevent long interim periods between board meetings. While face-to-face meetings are always preferable and should remain the norm, an acceptable alternative for one of the two meetings is by means of a remote electronic communications system, including telephone conference calls, videoconferencing technology, or the Internet, but only if: (1) each person entitled to participate in the meeting consents to the meeting being held by means of that system, and (2) the system provides access to the meeting in a manner or using a method by which each person participating in the meeting can communicate concurrently with each other participant (a "meeting" by e-mail does not meet this criteria). Board members must be serious about attending board meetings. Before accepting an invitation to serve on the board, prospective members should evaluate their ability to attend meetings regularly. When an organization’s board meets only twice a year, an executive committee of the board should meet regularly. To maximize the effectiveness of the board during board or executive committee meetings, board members should be well prepared for meetings. Appropriate assistance from the organization’s staff will facilitate this preparation. The board has a role in ensuring that the organization is acting in accordance with the ECFA Standards of Responsible Stewardship. Since these standards are required of all accredited organizations, the board should periodically compare the organization’s practices to ECFA’s standards. Summary. Effective board governance is critical for the health of the organization! Accountability by definition implies a level of discomfort and vulnerability. Being accountable means being obligated to report, explain, and justify. By holding the organization accountable, the board fulfills its own obligation of accountability to the organization’s beneficiaries, donors, and the public.